The sparkle in the eyes of those you help is worth all your efforts and people who don’t know how to give are very poor, no matter how wealthy they are – she strongly believes. 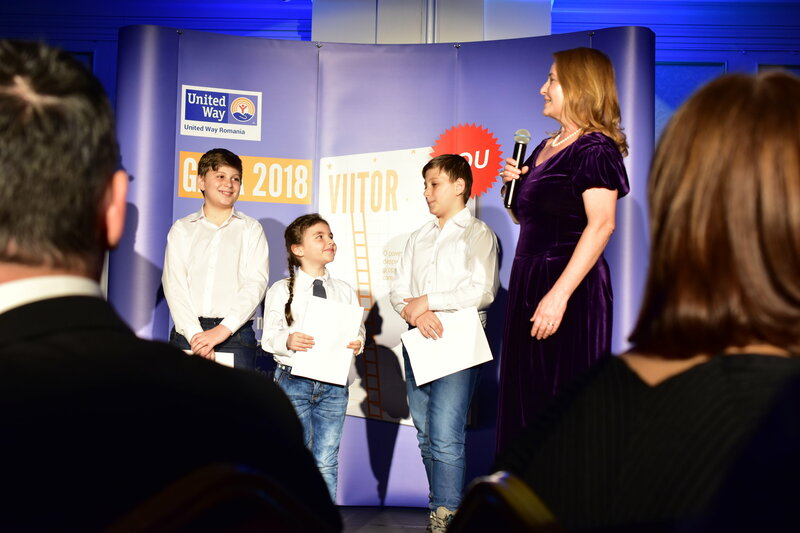 Lidia Fați, one of the three founding members of Dacris, has been giving, advocating and volunteering way before she started supporting United Way, and we are truly honored to have her as a trusted partner and friend. She was a volunteer for SMURD (on call every week at the Emmergency Department at Floreasca! ), she has supported underprivileged students so they could continue their studies, she has ran marathons for the chance to a decent life for the terminally ill people, she has renovated kindergardens in poor rural areas together with her children, she has planted thousands of pine trees alongside Dacris employees and she has donated her time and expertise as a mentor for young entrepreneurs. Convincing Lidia Fați to talk about her commitment to United Way was not easy. Not willing to exploit her good deeds for PR purposes, she feels there are others worthier. She rejects all big words and redirects all praises towards her colleagues, Dacris employees, who, inspired by the Fați family, volunteer for United Way, donate monthly to the organization and support us by buying products manufactured by underprivileged people for Easter, Christmas and 1st of March. It’s been 10 years since the company owned by Lidia and Dan Fați supports United Way programs aiming to improve the quality of life for vulnerable children, youth, adults and elderly people. Dacris is printing pro-bono United Way materials – over 150.000 brochures, donation cards, annual reports and other promotional materials, that enable us to help more and more vulnerable people each year. Since 2014, Lidia Fați has been a member of the United Way Board. 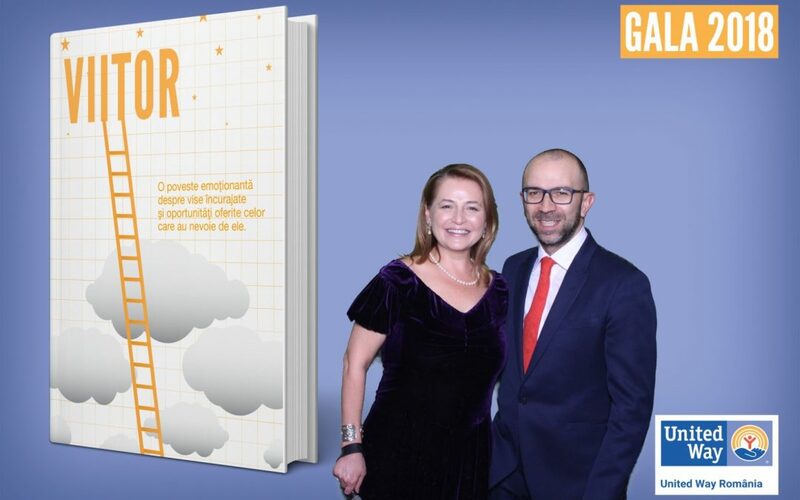 Moreover, Lidia and Dan Fați are members of the Alexis de Tocqueville Society, contributing with over 10.000 dollars annually to the United Way programs. 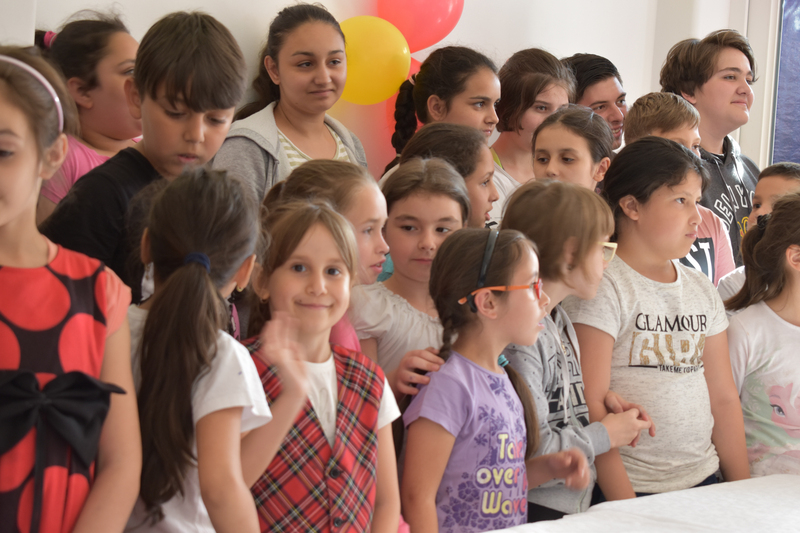 The most recent proof of generosity – not that there was any need for it– happened in March this year, when Lidia Fați donated her birthday in the benefit of children supported by United Way. 9.425 ron were raised on Galantom platform due to Lidia and her generous friends. This sum ensures 2 annual scholarships for 2 children coming from disadvantaged families, who do well in school; a hot meal every day for a whole month for 11 vulnerable children; educational activities for 2 hospitalized children over a 3-month period, and a proper birthday celebration for children from Casa Florian (a day-time center supported by United Way), born in March and April. Dacris has been supporting United Way for 10 years now. How did the relationship start? Ten years ago, Cristina (Cristina Damian, Executive Director of United Way România) convinced Dan to print pro-bono materials for United Way. From then on, we gradually found out about what United Way does, why and how. And from that day up until now, we have been printing materials free of charge. Prior to supporting United Way, we had been doing this – donating and supporting projects – for a very long time. In ’94 -‘95 – when there were only couple of NGOs in Romania and volunteering was very little talked about – a girl came to see me. She was a high school pupil, in spite of her child-like appearance. She spoke so beautifully about her work for an organization supporting people suffering from AIDS (another thing we knew very little about back then) and I was so impressed that this child was dedicating her time to this issue, instead of living the carefree life of a teenager that I had to help her, of course. I realized right there and then that some people are just meant to dedicate their life to such causes. I am not sure I am one of them, but I really wanted to help. When I first heard about United Way, their work seemed to be on a whole another level. There was this organization doing so many things for a lot of other organizations, something very elaborate and I immediately admired their work. Over the years, they’ve managed to help many organizations that were targeting the things we are interested in. First and foremost – education – which is paramount. Then the social and professional integration of vulnerable mothers and last, but not least, elderly people. Therefore, after we started printing pro-bono for United Way, we became donors as well. Since 2014 you have been part of the Board and together with Mr. Fați you are members of the Alexis de Tocqueville Society, contributing at an exceptional level to United Way. What drives such a level of commitment and for such a long time? Once you hear about the impact your contribution has, it is not difficult at all to be convinced. True, you can do many things with $10.000, you can indulge yourself, but there are so many people you can help with the same amount of money. So you quickly realize that your day-to-day life is almost insignificant when you compare it to the impact you may have in the lives of those less fortunate. That is what drives us to donate. And we donate implicitly – for us is a way of living. Additionally, I have the privilege of being a Board member, so I know exactly how much money is raised, where it comes from and where it goes. I know how many people donate, how many big companies (and I applaud them for doing so!) contribute, how many smaller companies and how many individuals. I am very impressed with the level of commitment of so many people who donate, some of them anonymous. To pledge to help an organization on a monthly basis is fantastic! This means that in Romania the youth – for I am sure many of them are young people – are going to change things. This is a small step, but when you think about another human being, you are already at a different level of consciousness. When you realize that even the smallest sum that you can afford to donate, for another human being means the chance to education or even the chance to life – a hot meal, a month of going to school, a birthday. I know you feel inspired by Tony Hsieh, CEO of Zappos and author of Delivering Happiness. Do you have nearby, in our country, people who inspire you? Steven and Valeria van Groningen are my role models – they are truly fantastic! I also admire Florin and Măriuca Talpeș, founders of BitDefender, as individuals and as a family – they are very involved with education. They came into my mind as you were talking about Tony, who’s background is in IT. These two couples seem surreal to me: they are very successful people, dedicating so much of their time to charitable causes. You manage a successful business and you choose to invest in community, instead of spending your money otherwise. What do you say about United Way to your peers, to convince them to get involved in the community at the same level and with the same passion you do? I tell them how impressed I was by the way united Way United Way was doing so many things for the less fortunate and how they manage the money as well. This is a crucial aspect when you talk to people from business – as every businessperson wants to know first how you will be managing their money. United Way does this so professionally, that you have no doubts or worries about what happens with the money you donated. I also tell them they are not alone. There is a very big community of United Way donors. Not necessarily Tocqueville-level donors, though I am very proud that the Tocqueville community is also growing stronger. Another thing I say about United Way is that they work with and through people who care. Not only are they very professional, but they also care. When I joined the Board, President of United Way was Steven van Groningen. He was not the only President who poured his soul into it, but he was the first one I met. He speaks with such passion, that you immediately feel you are doing the right thing –getting involved and helping other people. Whom did you learn generosity from? I believe you are born with it. I love to give. Very much. More than I like to receive. It’s amazing to see the sparkle in the eyes of those you help. And even when you don’t see it, only thinking about the good you can do makes you feel good in return. People who don’t know how to give are very poor, no matter the amount of money and possessions they may have. There are people who own a lot, but have no idea how poor they are. And there are people who don’t own that much but still they give a lot. I am surrounded by people – more and more of them (something that I’ve noticed and makes me so happy) who do not earn much, but who are genuinely generous and share the little they have on a day-to-day basis. I truly believe that if at least 10% of the people around us would start thinking about how much they could influence for the better other people’s life, we would witness a huge change. There are so many years since you have been involved within the community at the highest level. Have you noticed changes for the better? I sure did, but every time I point out something is working I am told that in “my world” everything is fine. In my world indeed, everything is fine and I am happy to see there are many people in this world of mine. I am a firm believer in youth, in their power to generate change. They can change the future – and they do – though there are people who are still clueless about it. When I hear about young people volunteering – even if there is something their school requires – I think of it as a wonderful opportunity. They will eventually embrace volunteering and maybe we will eventually be able to catch up with other countries who have a tradition in volunteering. Why do you consider volunteering important? Volunteering is as important as any other topic in the school curricula. We should talk more about volunteering in school. It is important because it enables you to grow as a human being. When you volunteer, you are accessing another level, and this helps you become a better person for your family and friends, for the people around you. This year you donated your birthday to the children supported by United Way – and we thank you for this gesture. Why did you do that? I was not the first one to do so. I don’t celebrate my birthday too often, but this years, since I turned 50 years old, I felt it was the right time to donate “half a century”. It is a year of many celebrations – Romania is celebrating its Centenary, Pilot is 100 years old (Dacris is selling Pilot products), I am 50 years old – it just seemed like the right energy. I have everything I want, I truly do. I have more than I’ve ever imagined I would. But there are so many people who do not even dream of having that much and do not even have their basic needs met. So let’s help them and let’s ask our friends to help them! Lidia Fați did not involve only her friends in supporting United Way causes, but she also inspired and motivated Dacris employees to practice generosity and volunteering as a way of living. “At Dacris, I have had the joy of meeting people who want to help those less fortunate. The fact that their will is doubled by the direct involvement of the management means even more – says Corina Slav, HR Manager Dacris. ”Over the years, together with my colleagues and having the full support of our management, we got involved in all sorts of projects meant to contribute to United Way, an organization I personally supported as well prior to being a Dacris employee. My colleagues contributed as they saw fit, by donating, redirecting the 2% of the annual income tax, buying products manufactured by underprivileged children from organizations supported by United Way at the special fairs we organize, volunteering in campaigns for the selection of United Way projects or running marathons. 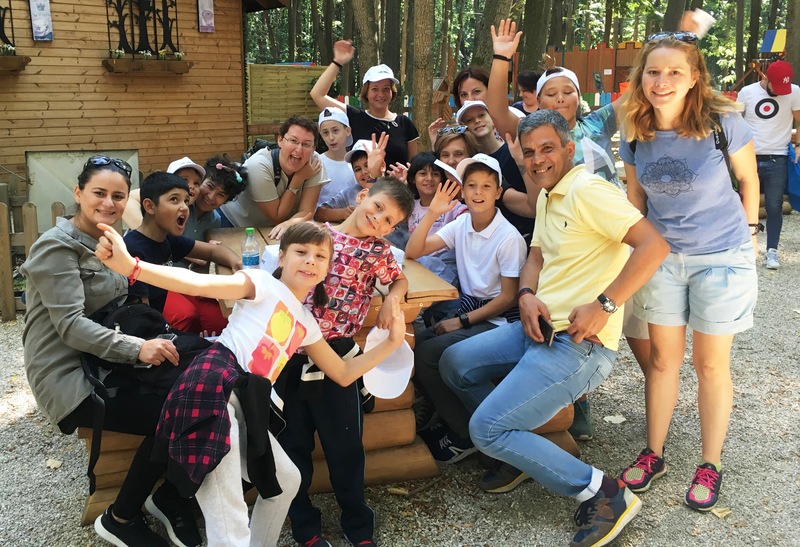 The most recent project was a donation of time, attention and emotions made by 15 Dacris employees, who spent time with a group of children in an adventure park. We will continue to get involved in projects like these, big or small, firmly believing that every gesture really means something” – adds Corina. Every single gesture of generosity, no matter how small the person who does it considers it to be – really matters for the vulnerable ones who need our help. Our deepest thanks go to Dacris employees who support United Way causes. We thank Lidia and Dan Fați, who, for that past 10 years, have continued to be a model for community involvement and helped us change the destinies of thousands of children, youth, adults and elderly people in need. If you feel inspired by this article to support United Way, offering a chance to education to underprivileged children, supporting vulnerable young people to secure a job and offering social and medical services and a decent life to elderly people, please, Donate, volunteer, advocate!